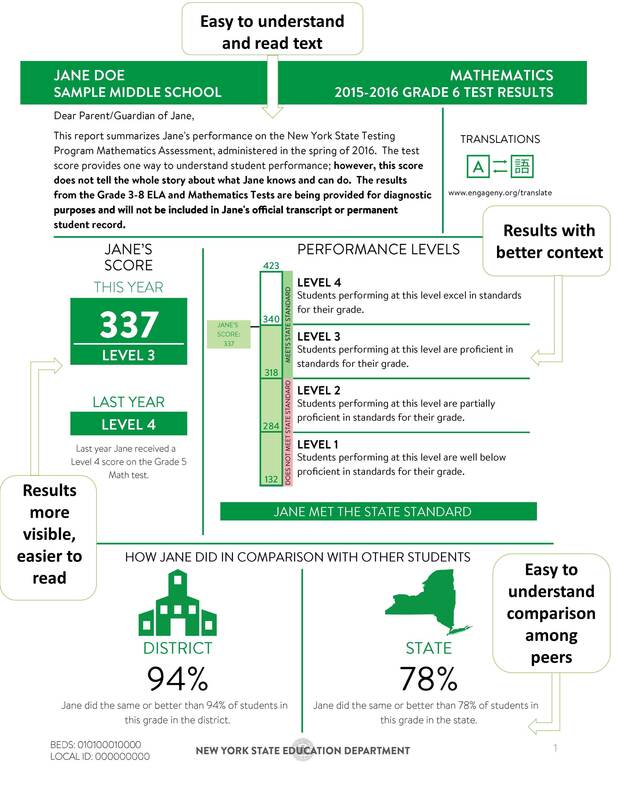 You may have already received a score report from your school for your child’s New York State Grades 3-8 math and ELA tests. If not, look for them in the coming weeks. This year’s reports look different than those from past years, with goal of making them easier to read and understand. The State Education Department heard from parents that the score reports were too complicated. 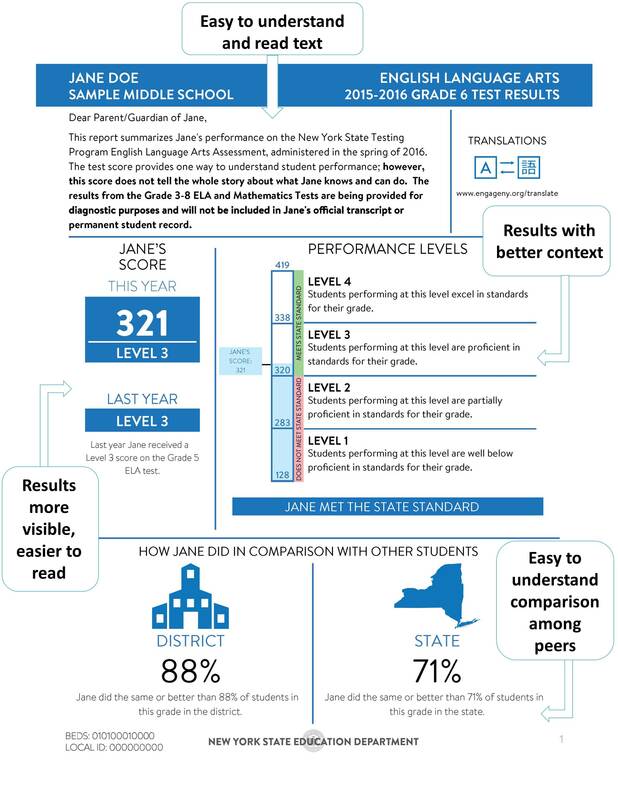 This year, after input from groups including the New York State PTA, these reports have been made more user-friendly, so you can know exactly how your child is doing. 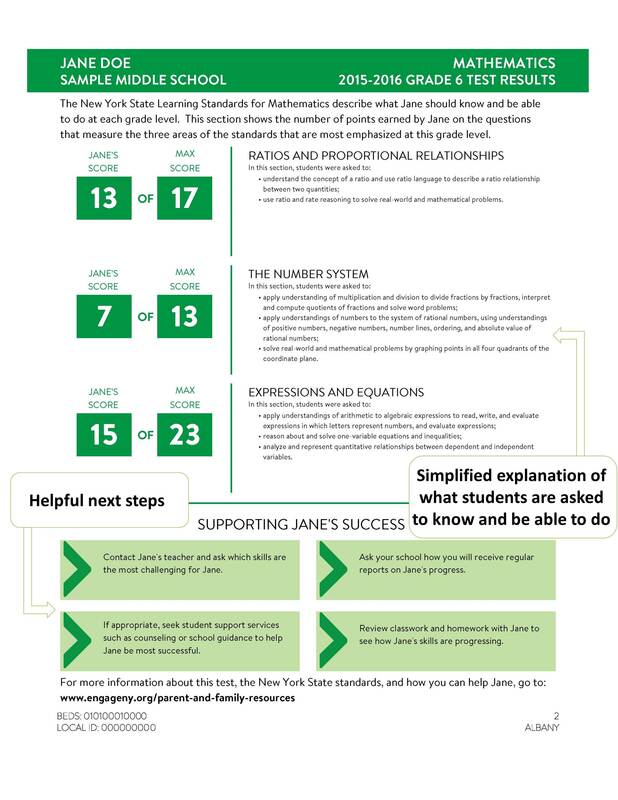 The accompanying graphic is a sample of what to look for on your own child's report and points out the helpful updates that were made. You will notice the differences right away, with easy to understand and read text. Your child’s score is more visible, and shown in better context. Plus, there is a simple comparison of your child's score to his or her peers. The report lists specific skills that students were asked to use and a simplified explanation of the assessments. It also more clearly explains helpful next steps for parents. We hope you find these changes helpful.